Have you been frustrated with the odd way that Facebook attempts to integrate your profile, e.g. personal account, with your business or brand’s Page? 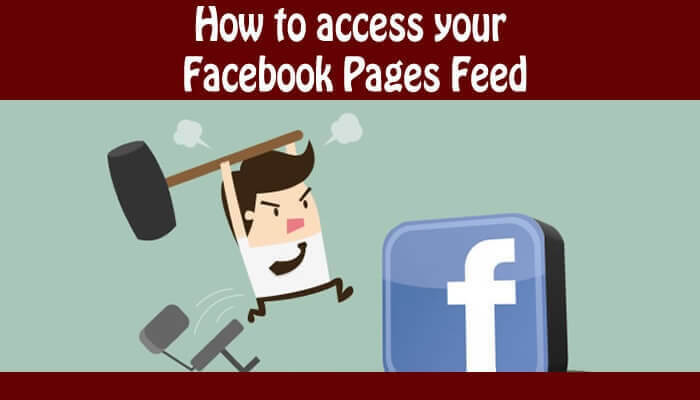 Have you wondered why it’s so darn difficult to find your Pages feed so you can use Facebook as a Page or Brand? This post is for you. A long time ago, in an Internet, far, far, away, Facebook was reasonably easy to use and had a strict division of Pages and Profiles. Those days are gone. Marketers hoped that Facebook would go The Force Awakens route, which replaced the atrocious Star Wars Prequels and Jar Jar Binks with a far better product. Unfortunately, Facebook took the Lucas Prequel approach with an obtuse, half-baked solution for your Pages feed that only Jar Jar could love. There are two primary ways to see your Pages feed. The most common approach, is clicking the dropdown arrow all the way to the right in the navigation header to select your Page, then select View Pages Feed on the left of your Page layout. * If you use Business Manager, you will also find a link to it here. However, there is a fly in the ointment. There is no official way to access your Pages Feed on the Facebook app or Page Manager app on any platform. Why Facebook has not added this basic functionality is beyond me. However, here is a workaround for smartphones and tablets. This is not an elegant solution, but it works for the times it is critical to access your Pages feed or other desktop only features. Login to your Facebook account with a mobile browser – I highly recommend using mobile Firefox or mobile Chrome for this. Safari on iPhone works, but can occasionally do strange things. Go to tools or options depending on the browser and select Request Desktop Site. You will now have access to the “normal” Facebook version, e.g. not the mobile site. Lastly, I highly recommend using the horizontal orientation for this on your device as the desktop version of the site with “look small” on a mobile browser. You can pinch-in to use the Pages feed. Is there a particular feature of Facebook, or another Social Media platform, that you would like to learn more about? Please contact me at my Website.